Manchester United: Can you name Sir Alex Ferguson's last XI? Ole Gunnar Solskjaer has been appointed Manchester United manager, becoming the club's fourth permanent boss since Sir Alex Ferguson retired. 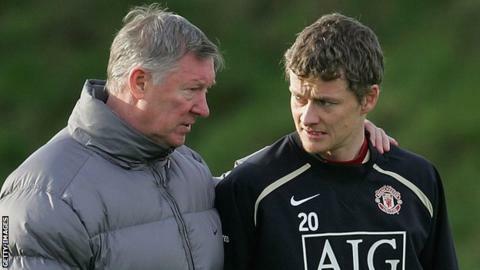 Ferguson brought the Norwegian to Old Trafford as a player in 1996, with Solskjaer scoring 127 goals in 364 appearances. Ferguson ended his 26-year reign as United boss in 2013, but can you name the starting XI for his final Premier League game in charge - a 5-5 draw at West Brom? Can you name Sir Alex Ferguson's last Man Utd team?